Last edited by Bestdj777; 05-11-2016 at 09:29 PM. Last edited by begsu1013; 08-22-2016 at 09:13 PM. Thanks, it's real and it's spectacular. only leaves that centered, unaltered 52b to complete the signed run. Last edited by mid50sbaseball; 05-11-2016 at 11:53 PM. Justin, that '63 Mantle pops of color!!! mid50's, you have an awesome wife to to find a '56 that looks so nice and then spring to get the card as a gift for you! Sounds like you have 2 keepers there!! Don't think I'll ever part with this one ! Do you have the elusive 69 white letter signed? 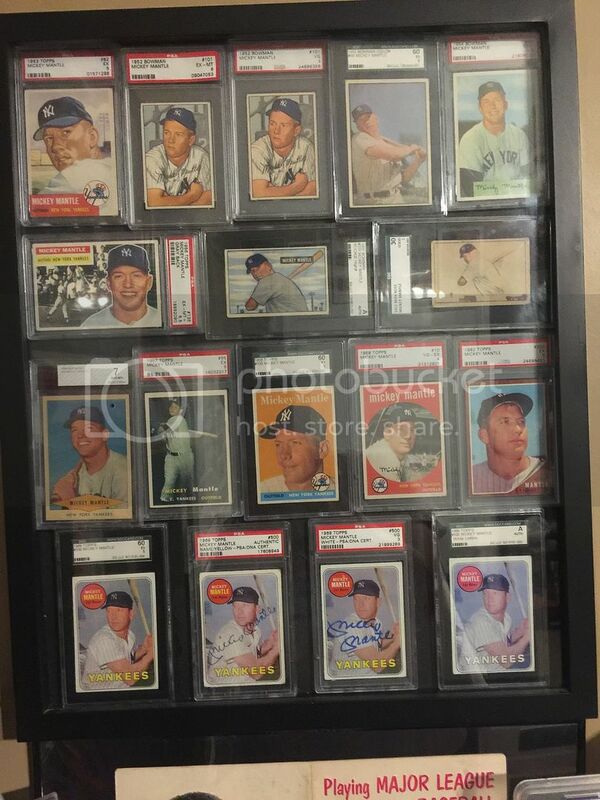 Here are a few of my Mantle's. 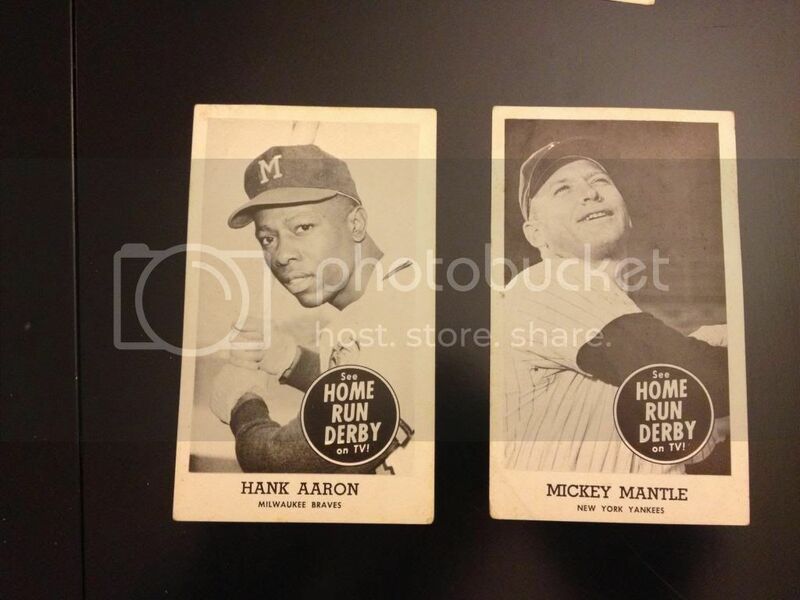 These 2 came from antique shows/stores here in st paul in the last year. Wow taxman!! 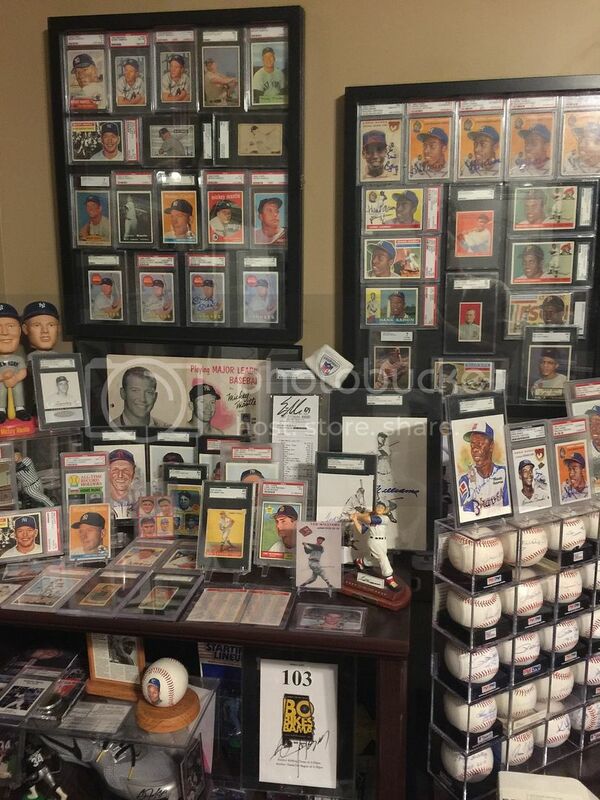 Your collection is off the hook man!! Taxman, I like your style. Last edited by begsu1013; 08-22-2016 at 09:14 PM. I'll trade addresses with you. Supposedly there are only 3 white letter signed. Last edited by Taxman; 05-13-2016 at 01:15 PM. A few Micks I haven't seen posted yet. 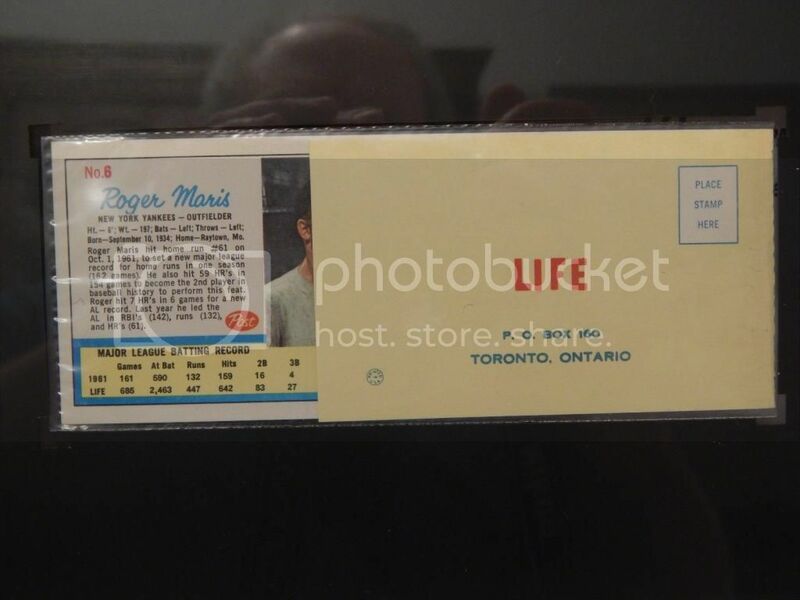 Still looking for a nice '59 Bazooka Mantle, Peter, if anyone, Peter, has one, Peter, they, Peter, want to sell to me. 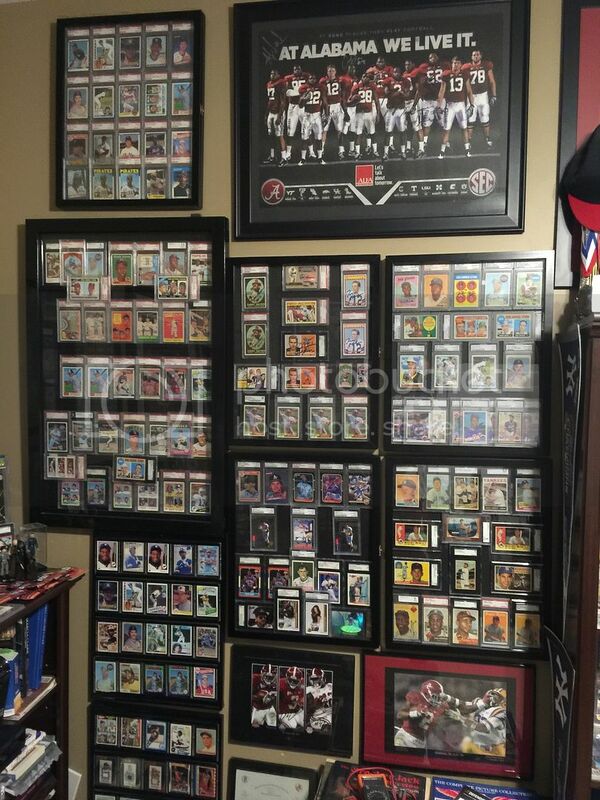 Amazing collections and card posts! 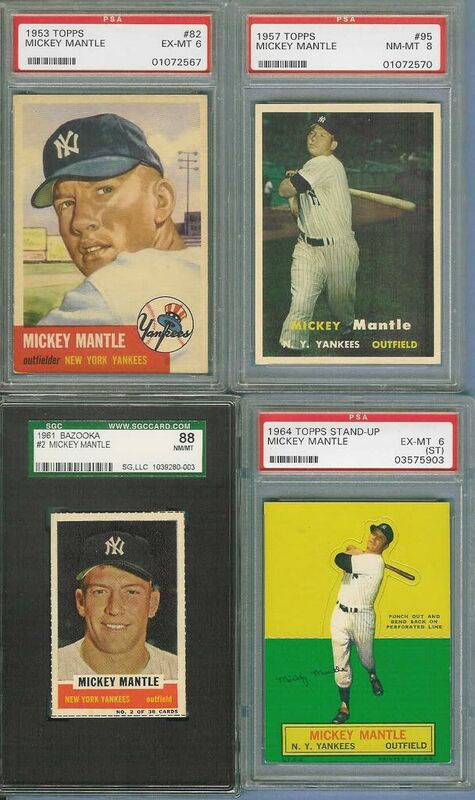 Recent Mantle additions. Great idea for a thread by the way. Last edited by pokerplyr80; 05-14-2016 at 01:11 AM. Awesome Micks, Pokerplyr! As good as it gets on the 1951. Better than some higher grades. That 1953 looks dead to rights centered. The 62 and 57 were the ones you posted from MattyC, right? I can tell they were his from the centering! Man that 62 looks like a 9 from this distance!!!!!! Last edited by MetsBaseball1973; 05-14-2016 at 01:20 AM. Thanks yeah the 57 and 62 were both from MattyC, he has a great eye. I haven't seen a nicer one for the grade in either case. 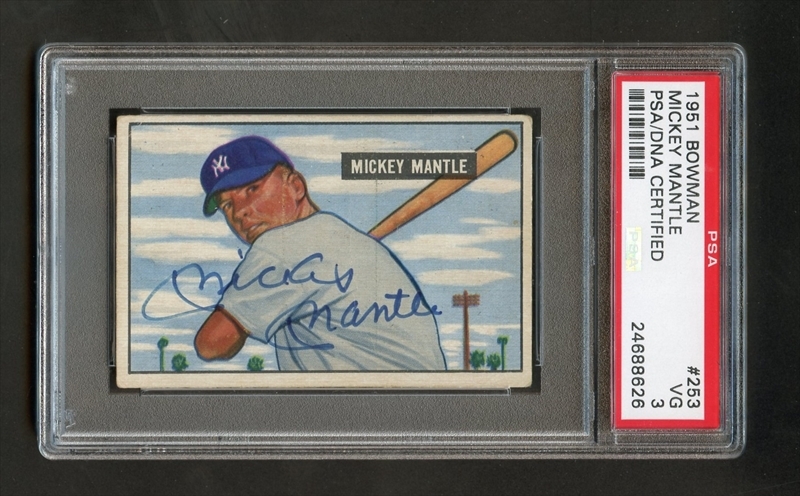 I don't have any that I hadn't shared elsewhere but thought I should add something to this new Mantle thread. Last edited by begsu1013; 08-22-2016 at 09:15 PM. 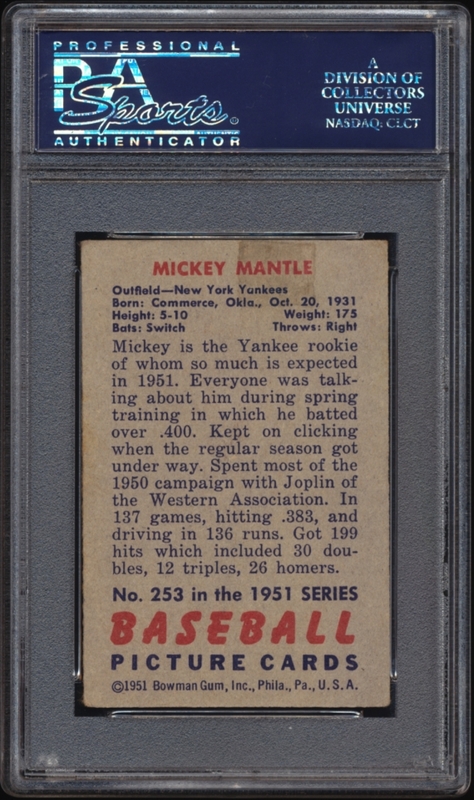 I think that is why I like the 56 Topps card so much. 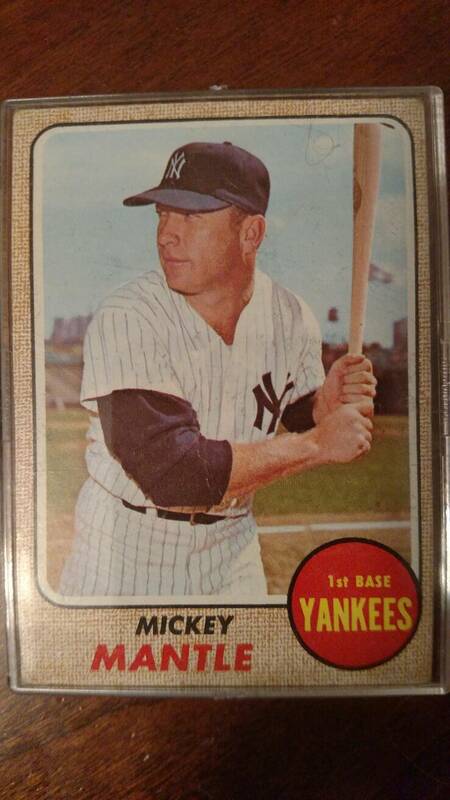 Mickey looks real happy in that pic and it's a great shot of him. Just wish I had of purchased one months ago instead of trying to find an affordable now. Dave, heartiest of congratulations on this acquisition. I could look at that gem all day. Come on SGC, why not a 98 GEM!?!?!?!? 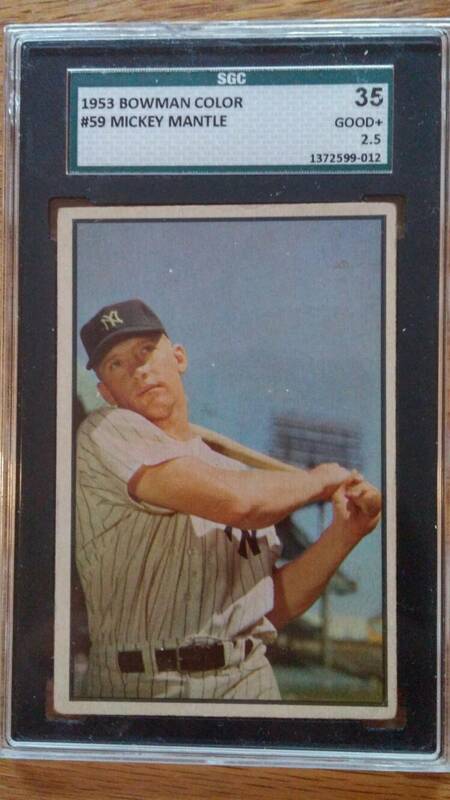 At least PSA will reward cards with a Gem MInt 10 here and there, but you guys VIRTUALLY NEVER DO! I know, I know, they must have spotted SOMETHING on the backside to give it "just" the 96 MINT. 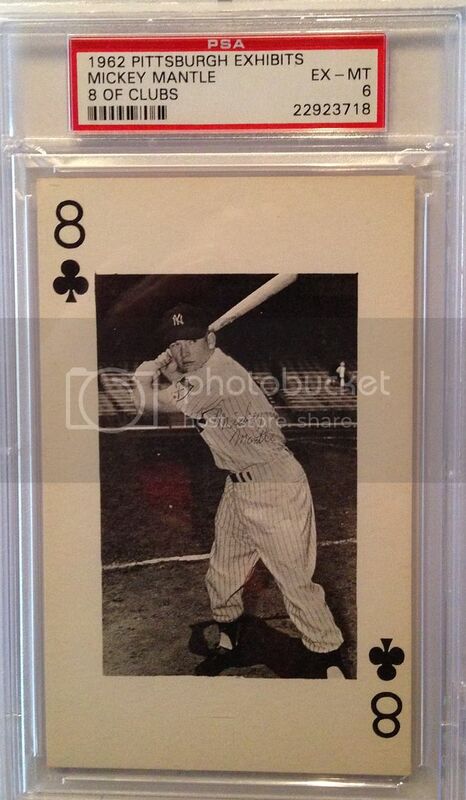 Grading, after all, involves the whole card, and not just the most important front side. Regardless Dave, even better than the near-perfect centering are the outstanding colors and picture registry. 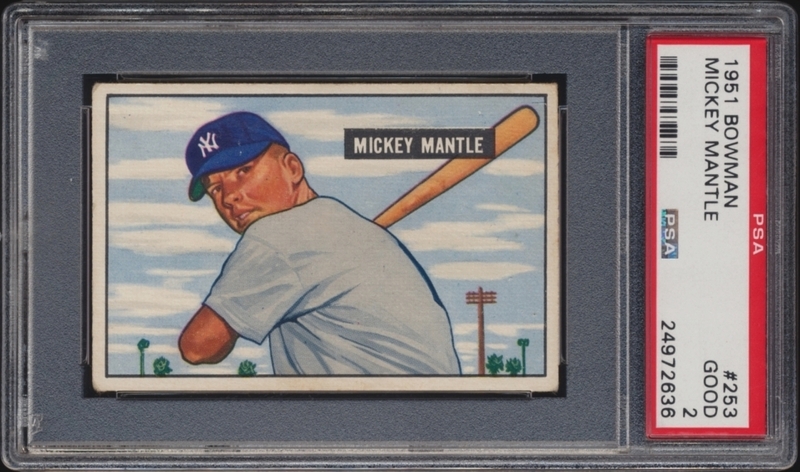 In the coin world, as I remember they term that "a perfect strike", which this Mantle blasts out of the park!!! As Maurice Chevalier said in that wonderful Disney movie, In Search of the Castaways, ENZHOY IT! Last edited by brian1961; 05-14-2016 at 01:47 PM. 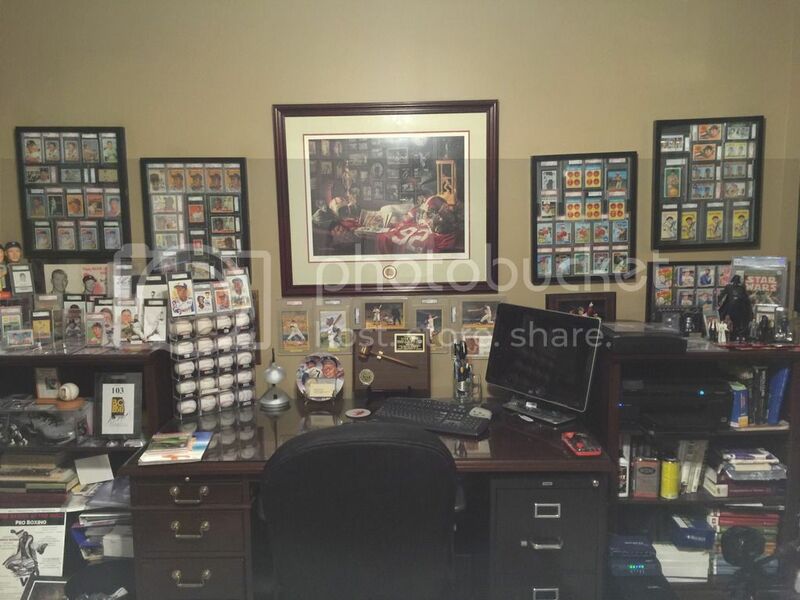 The thing that gets me about the cards Bob posts, like the signed '52 Topps, is... where the hell does he find these?? Last edited by CW; 06-05-2016 at 05:40 PM. 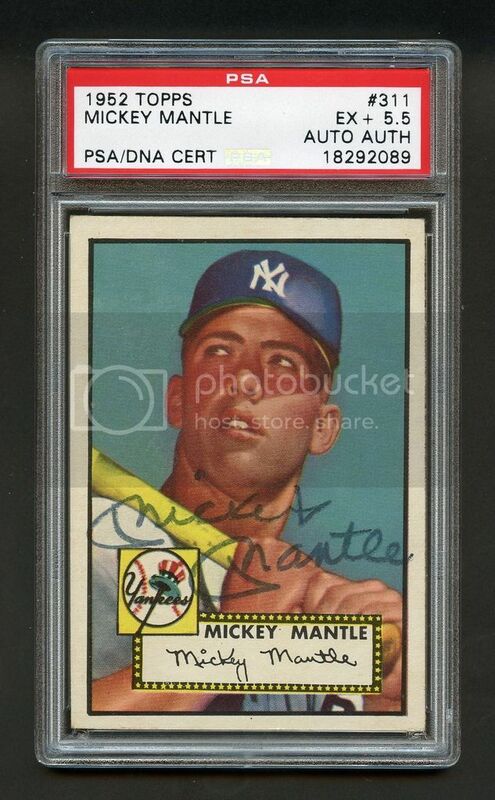 That signed contract is really cool, and I don't remember seeing a nicer psa 2 51 Mantle. 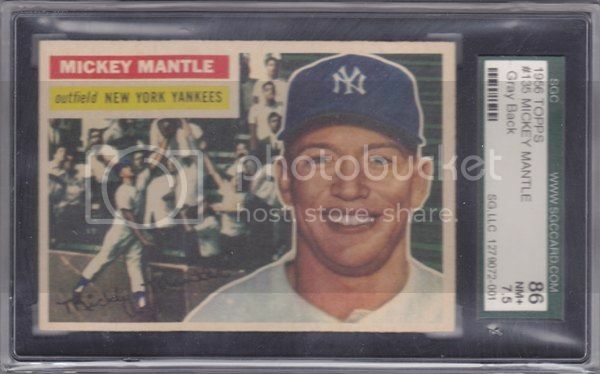 I don't remember seeing a nicer psa 2 51 Mantle. I agree here. This looks more like a 3 compared to my bvg2 I have. Maybe it the tape mark on the reverse that doomed it. NICE!! The '54 Red Heart previously shown was wonderful. All of the posts in this thread were great to view. I got this Bowman example from a local guy who pulled it from a pack as a kid. A true story. Damn, that's an awesome 2 !! The Red Heart is off the charts. Finally got Mick out of the cube he had been in for over 25 yrs. You guys make me wistful - so many Mantles I don't own anymore. Here's one that hasn't been shown yet...pardon the water damage, adds "character". (went to another board member recently but I don't think he'd mind me posting it). 3 of my favorites that I haven't seen posted yet.